Just as playing a piano concerto did not begin with a fantastic performance, the best pizzas did not begin with their heavenly products of melted cheese and delicious toppings. It all began with the technique. Your piano lessons began with the technique of scales. Building the perfect pizza begins with the technique of one’s hands and the knife. After you have found a sharp, stable knife, it’s time to hold it in a way where you can best chop, dice, and slice those toppings for your pizza. The best way to hold the knife is to find the balance of weight. Holding your hand up between the blade and the handle is the best way to grip where you can balance the weight of the force you are putting on the knife to the vegetables. Keep the index finger and thumb closer to the blade, while your palm is holding gripping to the handle in order to find the best balance and support. 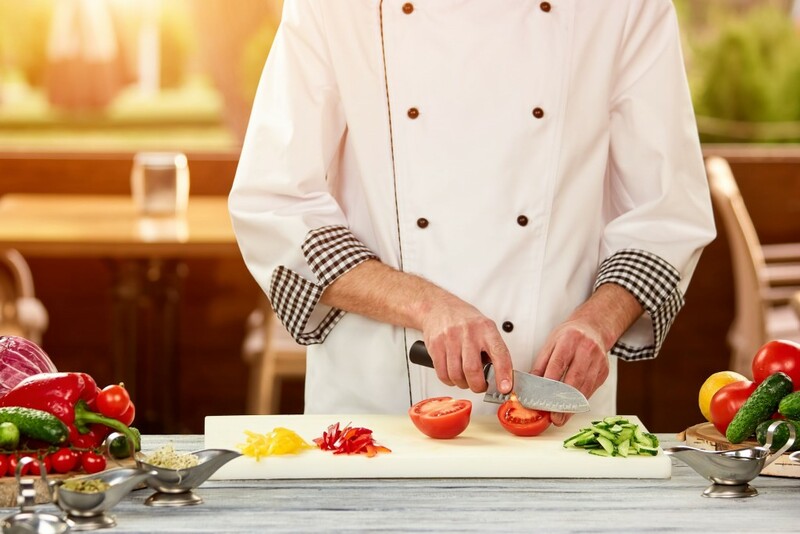 Once you are holding the knife correctly with your dominant hand, you are then able to use your non-dominant hand in a claw-like formation to aid the dominant hand in cutting the vegetables. Now that you have the knife held properly, it’s time to illustrate three different ways to cut your toppings. 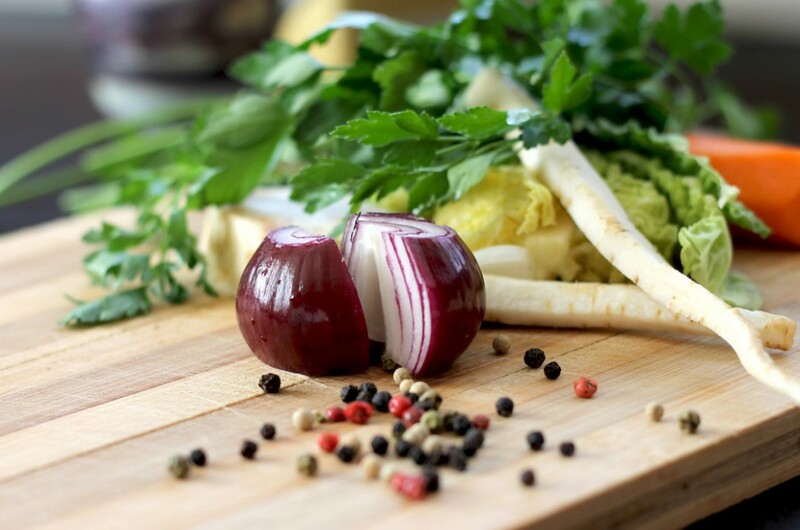 Because each vegetable is unique, so is the way of chopping, dicing, or slicing. If you want small toppings on your pizza, chopping is the way to go. Sometimes it can be difficult to find a way to take a large vegetable or even a small one and chop it in a uniform way. However, we are here to help with some tips and tricks to help with this. First, unpeel the cloves you are using for the particular recipe. Second, place the side of the blade on one of the cloves. With the non-dominant hand on the handle of the blade, use the palm of the dominant hand to hit the side of the blade on the top of the clove to break it. Third and finally, chop and discard the ends and continue chopping the rest of the clove to the size needed for the recipe. Repeat the process for the other cloves. First, cut off the stems. Second, cut each mushroom in half. The third step depends on what you are cooking and what the recipe asks for. For soups, dicing the mushrooms into quarters may be best. However, if you are creating toppings for a pizza, slicing the mushrooms individually would be the preferred alternative. If you want larger toppings, dicing is the method. This can often be an easier way to cut your vegetables. Here are some of the best ways to dice! Avocados are a really simple vegetable to dice! First begin by cutting the avocado in half in a horizontal fashion starting at its narrow top. You should end up with half of the avocado having a large seed in it. Pluck out the seed with the knife. Then, proceed to use the knife to slice desired strips from the top of the avocado to the bottom. Hold the skin of the avocado with the non-dominant hand when doing so, while the dominant hand is slicing the strips with the knife. Proceed to then use the knife to slice the strips horizontally to create cubes. Finally, use a spoon to scoop out the diced pieces. In order to dice mozzarella or cheddar cheese, one must hold the block or cylinder with the non-dominant hand and then use the dominant hand to use the knife to slice the cheese to the width desired. Then, take the the stripes and cube them to the length desired. It is as simple as that! Slicing is a great way to add savory toppings to sandwiches and pizzas! 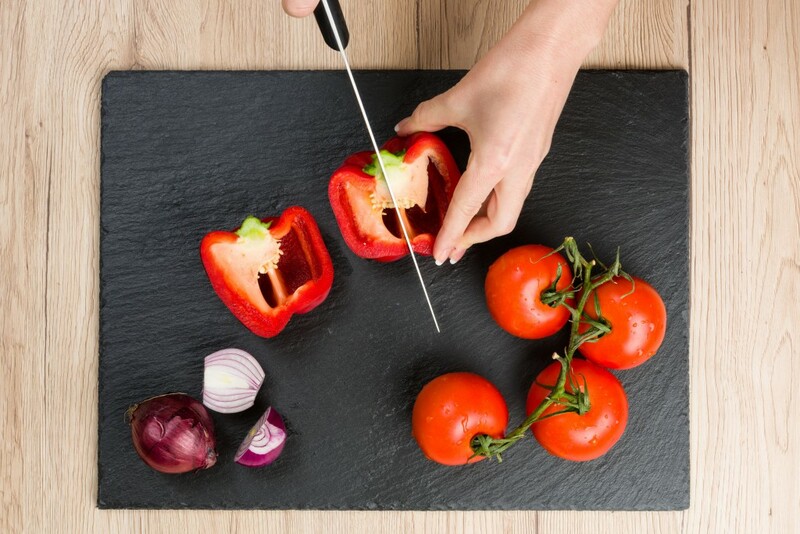 Check out the best way to slice various vegetables for these fine dishes. Slicing tomatoes is probably the simplest way to slice. The first step is to use the non-dominant hand to hold the tomato where the the stem is faced horizontal. Then, take the knife with the dominant hand to slightly cut off the end of the tomato. Continue to slice the tomato at the desired width. Repeat for each tomato. Now you have the perfect addition to your margarita pizza. In order to slice a bell pepper, one must cut off the ends of the bell pepper using the same technique (as illustrated in the link above) with the dominant and non-dominant hand. Then, remove the seeds and unwanted inside of the pepper with the knife. Finally, cut them into strips. Now you are ready to add them into a salad, stir fry, or…pizza. No Comments to "It’s Time to Chop!"